Photo courtesy of Casa Mae. In some respects, booking travel on the internet has never been easier or more democratic. But when you have access to everything, finding the best thing can feel a little overwhelming — so many wonky images, competing hotel prices, and reviews from people who seem to love to complain. What begins as a fun search for a dream vacation quickly spirals into despair. Is it too much to ask for an affordable hotel that's well-located and a pleasure stay in? For this month's installment of the Fathom Travel Awards, we were determined to find and reward budget hotels all over the world punching well above their weight. As always, we care about size, sensibility, design choices, amenities, location, and price. All the hotels mentioned on this list have rooms going for $150 or less per night somewhere on the internet as of this publication date. Cheap, but still cheerful — all over the globe. Never miss a beat: Sign up for our wanderlusty newsletter. Photo courtesy of Alabama Hotel. 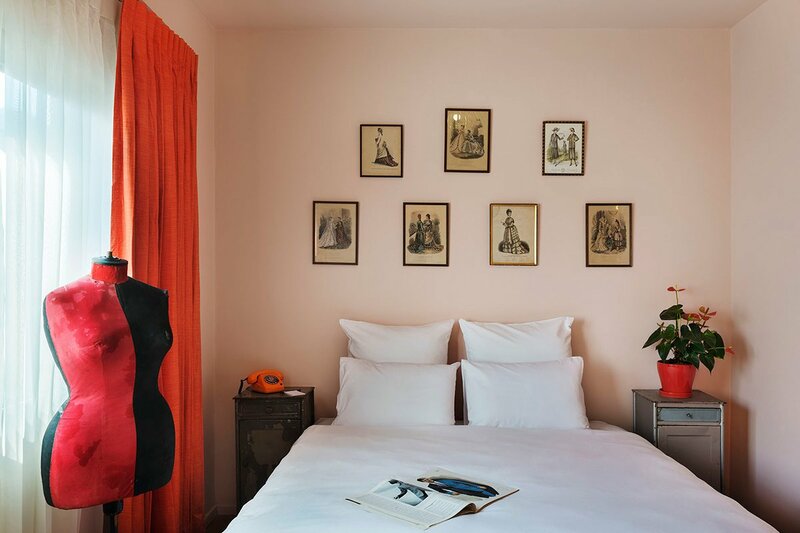 What we love: An old-fashioned budget hotel from the '30s is reimagined as a hip budget boutique located in a city prized for its indie sensibility. 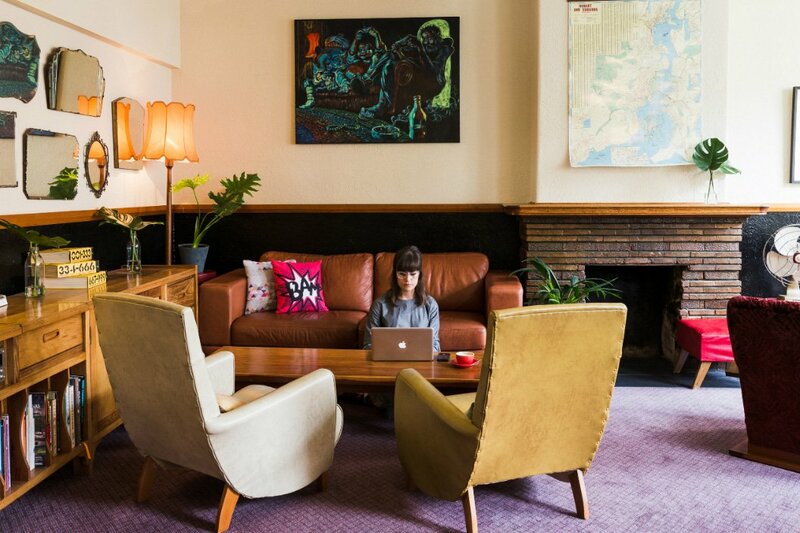 A plant-filled balcony, nicely stocked bar, vintage touches, tidy rooms, free WiFi, and a very friendly staff make for a great escape down under. Photo courtesy of Brown Beach House Croatia. What we love: There is nothing budget about the sophisticated design furnishings of this 42-room boutique property in a charming seaside town (with Renaissance and Romanesque touches). 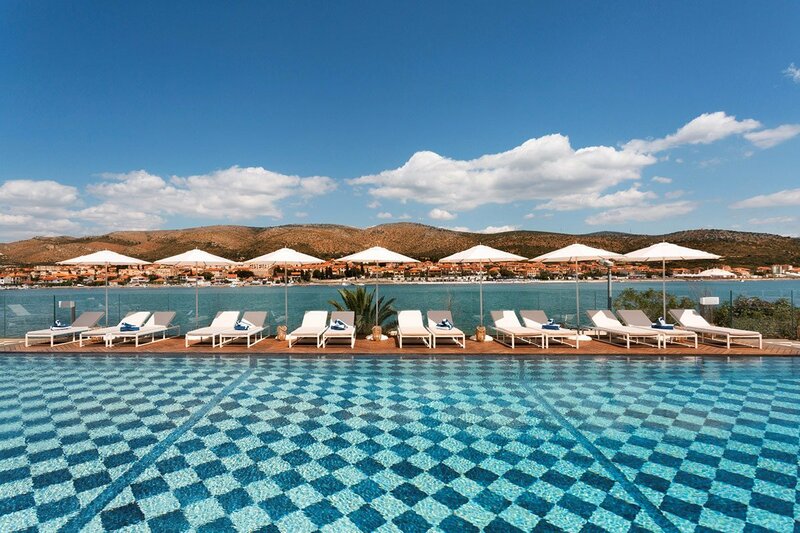 There's a full spa, a pretty sun terrace, a lively breakfast scene, and an Instagram-worthy pool with a view of the Adriatic coast. On rainy days (of which there are very few), it feels just as vacation-y to spend a few hours in the spacious, well-appointed parlor equipped with cozy couches, an eclectic array of books, discreet toys for kids, and excellent coffee and cocktail service. Photo courtesy of Sir Savigny Hotel. What we love: An Art Deco urban retreat for modern aristocrats (on a budget) located in the luxe Charlottenburg neighborhood. Sleek wooden finishes, leather furniture, and eclectic art accentuate a warm, friendly vibe. Rooms come with a twist — a burger intercom connecting hungry guests to The Butcher restaurant downstairs. 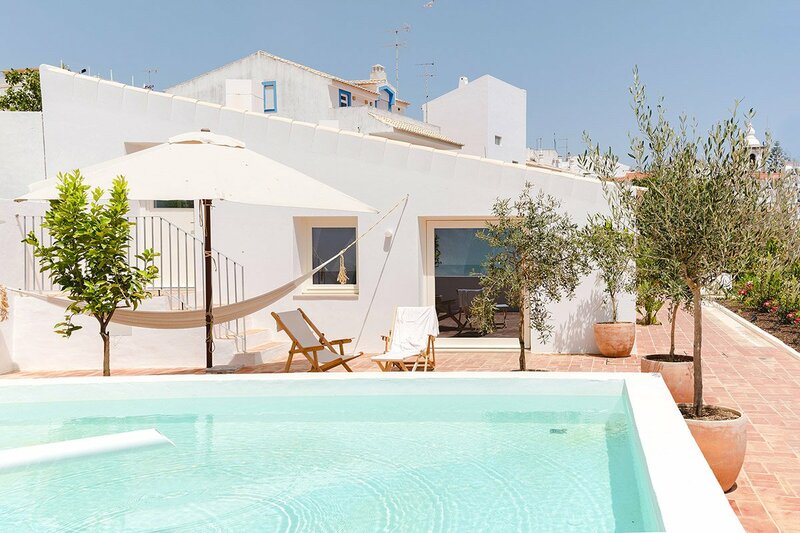 What we love: This 19th-century family home is now a 22-room boutique oozing Portuguese tranquilidade with terra-cotta flooring and traditional wooden reixa on the façade. A self-published design magazine, curated artisan boutique, and open-kitchen restaurant make it more than just a place to lay your head at night. 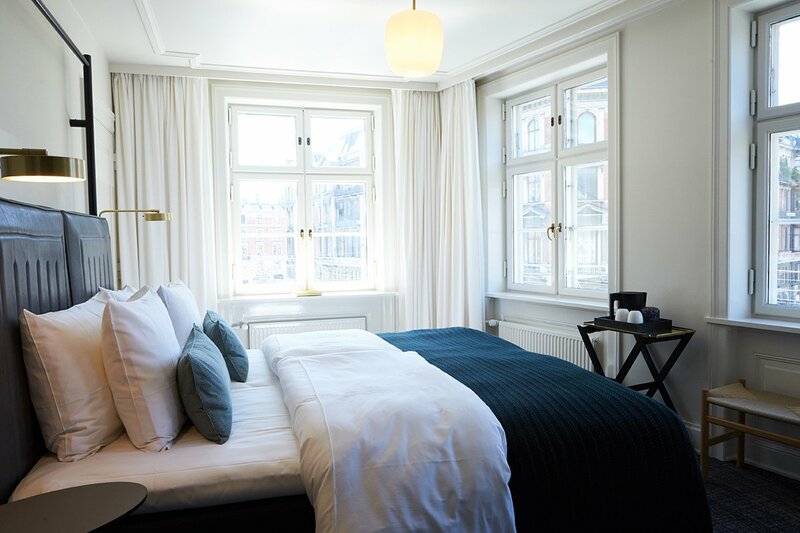 Photo courtesy of Hotel Danmark. What we love: It’s an affordable design boutique that doesn’t break the bank in a city that isn’t easy on the wallet. Newly refurbished interiors are colorful and modern and peppered with classic Danish furniture. The on-site restaurant makes an impressive breakfast and the rooftop terrace offers a priceless 360° view of the city. Photo courtesy of Tribal Hotel. 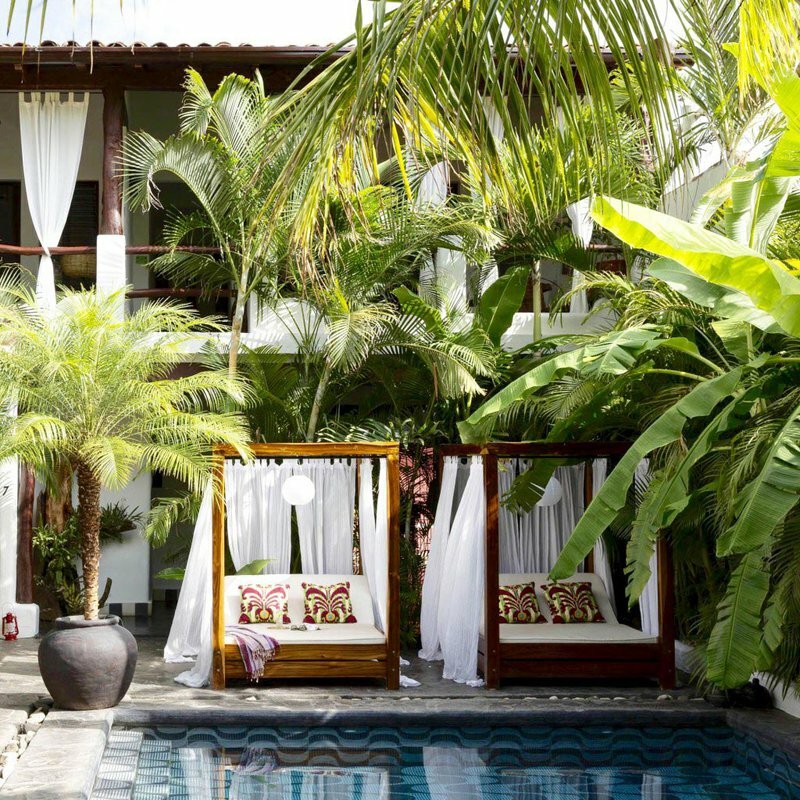 What we love: A beautifully decorated bohemian outpost in the sleepy colonial city of Granada. Opened by Jean-Marc Houmard (of NYC's Indochine and Acme restaurants) and business partner Yvan Cussigh, the seven-room Tribal Hotel is low-key and tropical and tastefully in line with the country's modest vibe. Read more about it on Fathom. Keep the inspiration flowing! Sign up for our wanderlusty newsletter. Photo courtesy of Casa Bonay. What we love: A perfect escape set in a 19th-century Neoclassical building in peaceful Dreta de l'Eixample. 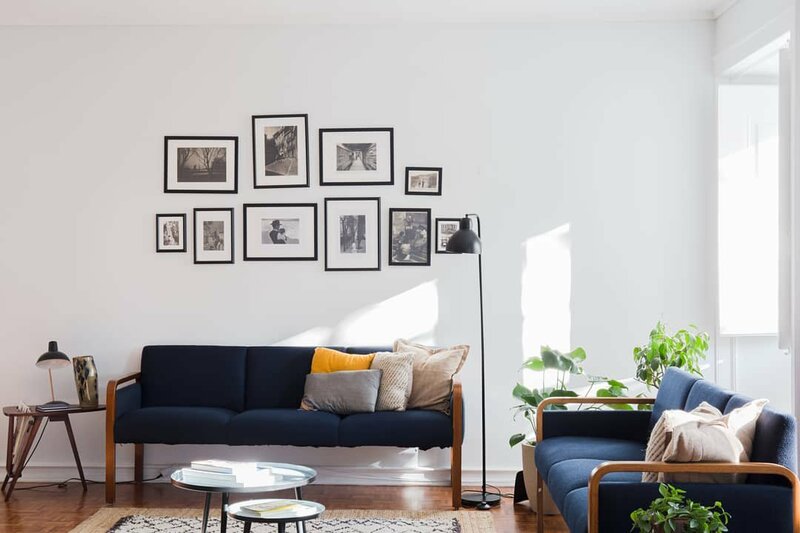 The simple palette of whites, blues, and greens complement the interior’s original mosaic floors, while a collection of local purveyors (like Catalan baristas Satan’s Coffee Corner and indie publishers Blackie Books) add a special touch to the common spaces. Photo courtesy of The Dave. 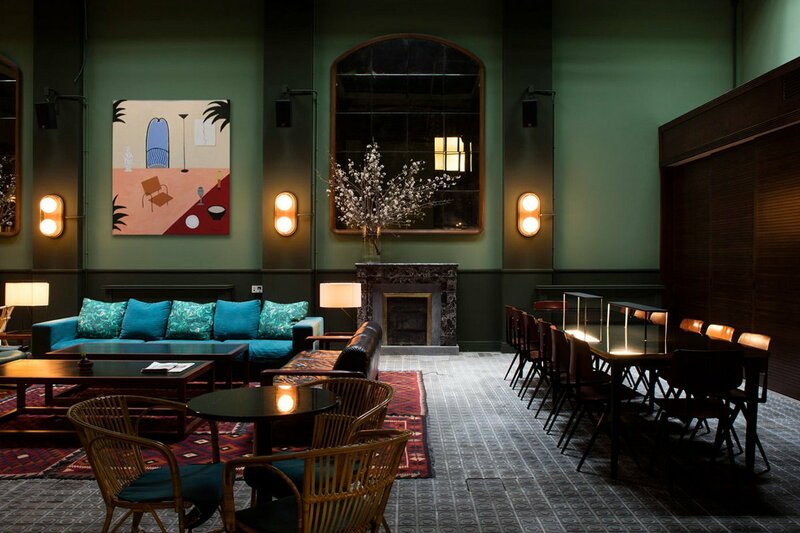 What we love: The latest budget offering from Israel’s own Brown Hotels is young, fun-loving, and laid back — but doesn't overlook the desire for luxury. 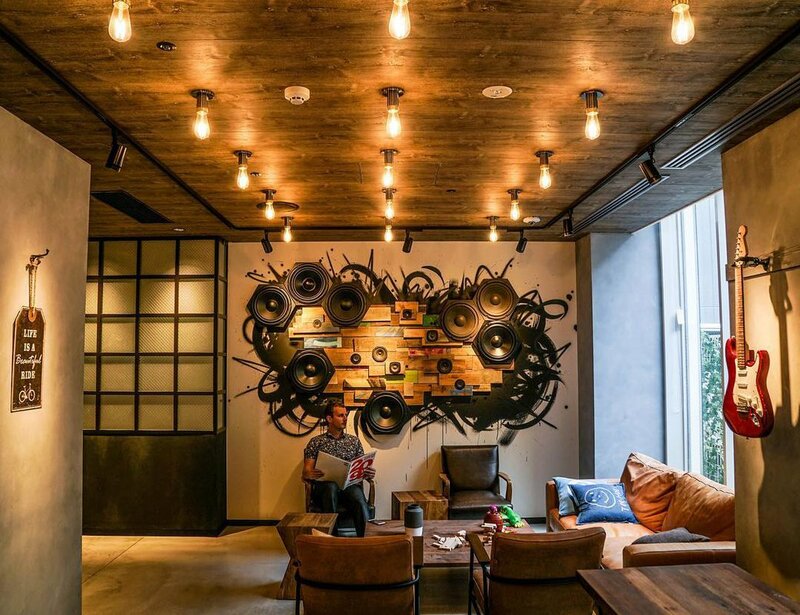 Cabaret-inspired rooms, avant-garde artwork, and rotating pop-ups (think lobby barber shop and tattoo parlor) contrast with the minimalist exterior in a quirky yet lovable way. Photo courtesy of Mama Ruisa. What we love: In the super cute Santa Teresa neighborhood, an elegant and relaxed century-old house has been transformed into a romantic Brazilian inn with a minimalist French touch. The lush swimming pool is surrounded by fringed palm trees. 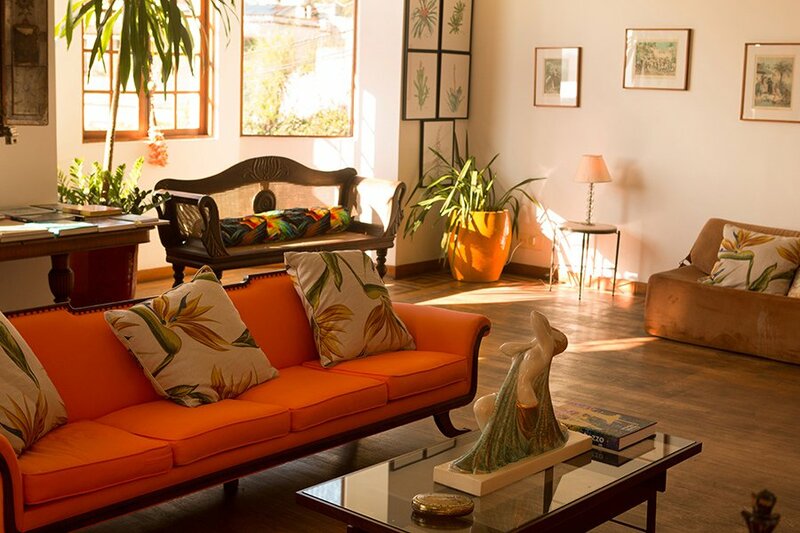 The beautiful living room is drenched in sun. The breezy porch is perfect for rocking away with a good book. The million-dollar view is on the terrace, on a hilltop overlooking the Guanabara Bay. Photo courtesy of Downtown Camper by Scandic. 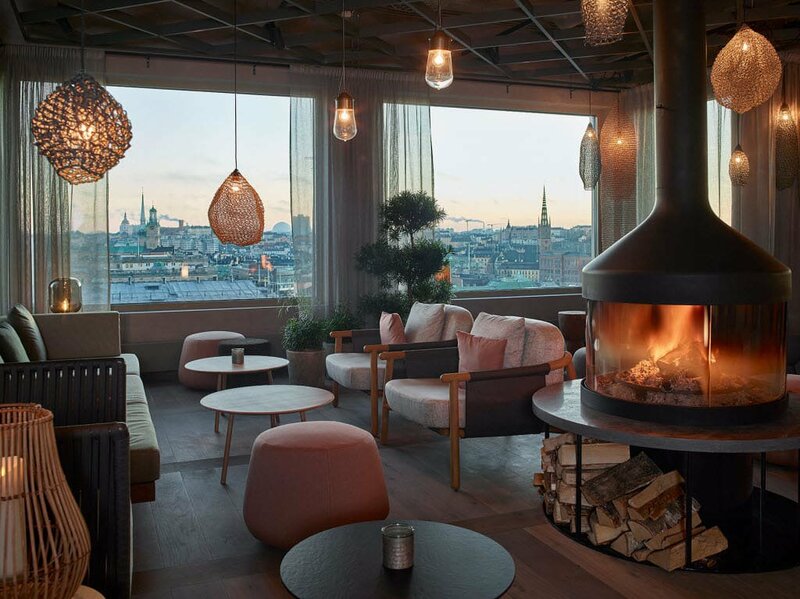 What we love: Smack in the center of Stockholm, a short walk from the Central station, the hip 494-room hotel looks out over the city and is close to tons of great shopping, eating, and areas to explore. When you’re not out on the town, settle in for a sweat at the rooftop wellness center. Photo courtesy of Moxy Osaka Hommachi. 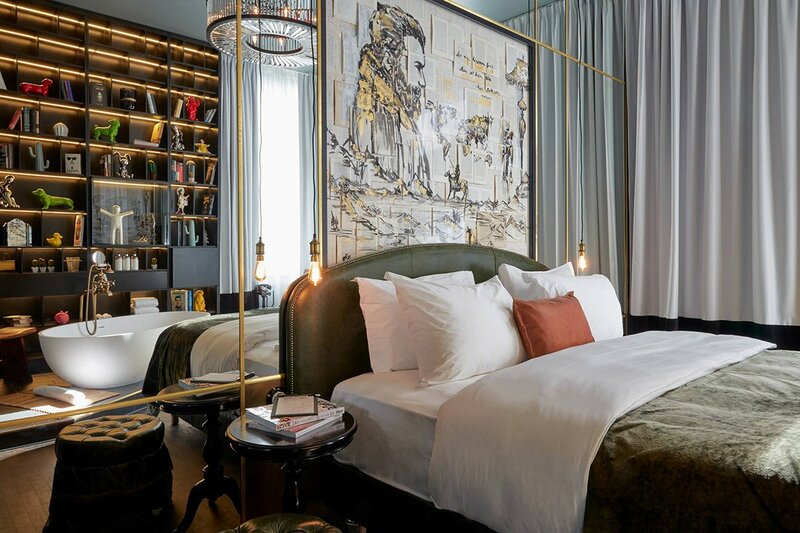 What we love: A hip home away from home thoughtfully designed with dynamic pieces of art that capture the bustle of the city around it. The hotel lounge has the vibe of a coffee shop during the day and a clubby atmosphere for drinks at night. A 24-hour self-service “grocery store,” speedy WiFi, and an assortment of work spaces and games make managing a late arrival and fighting jet lag a breeze. Photo courtesy of Casa C'Alma. What we love: This hotel is perfect for Scandi design enthusiasts. 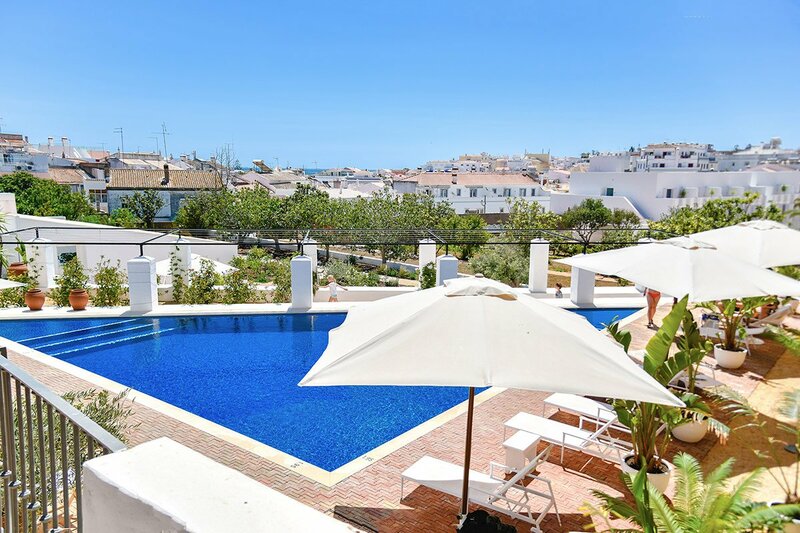 The boutique guesthouse has only five rooms and overlooks a charming little park in trendy Principe Rea. A small but mighty library of books and magazines keep guests busy on lazy mornings.